Home to the breathtaking Big Sioux River Falls that inspired the city’s name, Sioux Falls is the largest city in South Dakota, with over 160,000 residents and serving a quarter of a million people regionally. Spanning 73 square miles, the city boasts over 70 parks and greenways, including the 123-acre Falls Park adjacent to downtown. This expansive and verdant park features some of the city’s oldest buildings as well as the waterfalls, which drop an average of 7,400 gallons of water down 100 feet of two billion year-old pink quartzite each second. Upon completion, the currently underused entrance to Falls Park, known as Falls Park West, will be transformed into the site of a state-of-the-art outdoor concert venue, spanning from downtown’s bustling 5th Street north to the park. The fluid, organic shape envisioned for Falls Park West pays homage to the way the Big Sioux River interacts with downtown Sioux Falls. In 2011, Tom Dempster, Friends of Levitt Sioux Falls Board Chair, received a call from his old high school friend and fellow Sioux Falls native, Tim Boe (now deceased) who was living in Pasadena, Calif.—home to a Levitt Pavilion. 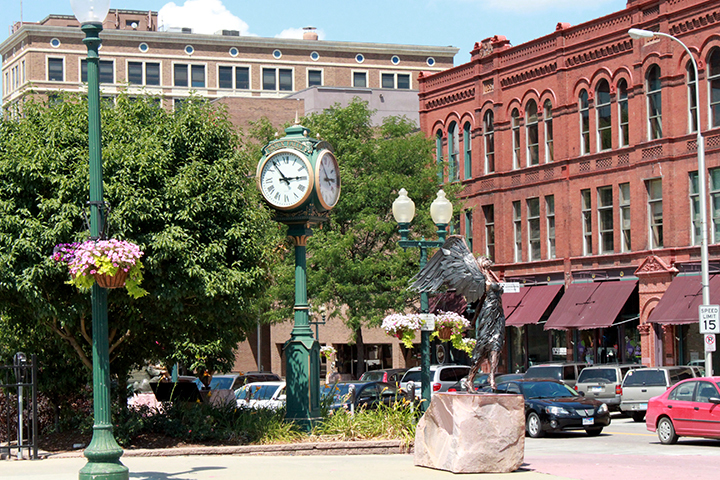 As Dempster recalled, Boe told him, “Sioux Falls needs a Levitt.” Upon realizing that the Levitt program could potentially enhance the community’s ability to grow its artistic capacity, help attract young families and welcome refugee and immigrant populations, Dempster set out to make Levitt Sioux Falls a reality. After putting together a group of committed community members who shared this vision, they invited Yazowski to Sioux Falls for the first of many visits. After reviewing numerous public spaces, Falls Park was identified as the prime location for Levitt Shell Sioux Falls, specifically the southwest portion of the park, Falls Park West. Don Kearney, director of the City’s Parks and Rec Department views Falls Park as “the people’s park.” In particular, Falls Park West—despite its lack of infrastructure—has played host to a variety of successful annual events over the past decade, pointing to its tremendous promise as a place for more consistent programming. “It’s a place where people from all cultures and socioeconomic backgrounds feel comfortable,” said Kearney, “Whether it is at the Farmer’s Market on Saturday mornings or the Mayor’s Fourth of July Picnic, everyone feels welcome in our City’s namesake.” Centrally located on the city’s bus line, surrounded by distinct neighborhoods and directly adjacent to the city’s increasingly vibrant downtown, the Levitt site will be easily accessible to a wide range of socioeconomic groups and people of all ages. Levitt at the Falls will celebrate and build upon the inclusive spirit that already exists in this particular green space, while creating a permanent space to host community events and highlight local traditions. And there is no time like the present—particularly for Sioux Falls, which is already experiencing an economic boom in its downtown area. Within the past several years, 90 new businesses have opened in the city’s downtown. With business thriving, there’s been a substantial increase in downtown retail sales and an influx of downtown residents of all ages, indicating that the nearby Falls Park West is ripe for more robust programming. The Levitt at the Falls partnership between Sioux Falls’ public and private sectors has garnered enthusiastic support and aligns with the City’s efforts to add further vitality to the downtown core, while illustrating the viability of Falls Park West as an ongoing community destination that will attract people from throughout the city and the region. 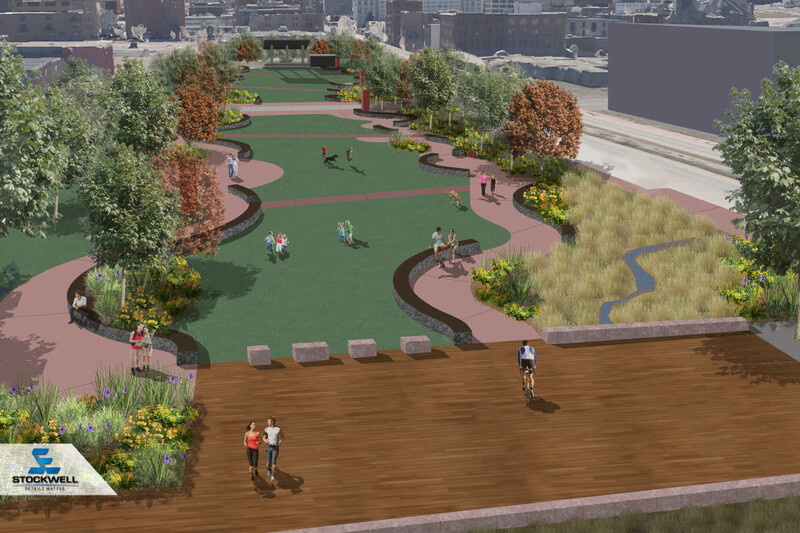 In February, Sioux Falls City Council approved the public/private partnership to build and sustain Levitt at the Falls, marking a major milestone for the project. According to Kirby, it’s now “full steam ahead!” Over the past few months, she and her fellow board members have already raised over $500,000 in individual gifts toward the total $4.6 million capital campaign, positioning them to wrap up phase one of their fundraising strategy at the end of April. They’re simultaneously working closely with the City, which has committed $2.5 million to the project, to initiate the RFP process for selecting the architect to design the Levitt venue. The Levitt Foundation’s gift of $500,000 in seed funding will go towards the capital campaign as well. Building upon this momentum will be the Sioux Falls Chamber of Commerce Community Appeals Committee’s upcoming fund drive in November, with Levitt Sioux Falls as a benefiting organization. Friends of Levitt Shell Sioux Falls was one of two projects to receive this esteemed designation following a competitive application process in the fall and winter of 2014/2015. As such, this November, the Friends of Levitt board will collaborate with the Chamber for their second phase of fundraising with appeals to the Sioux Falls business community. The final phase of fundraising, which will be determined based upon remaining need, will wrap up 2017, allowing for construction to begin in 2018 and concerts to launch in 2019! Wonderful News. Amazing location and the diverse acts that perform in Levitt facilities are going to provide some exceptional experiences. I’ve lived in Sioux Falls for 10 years and fell in love with its amazing downtown on my first visit. This project is perfect for the city. I can’t imagine a better addition to the culture here.